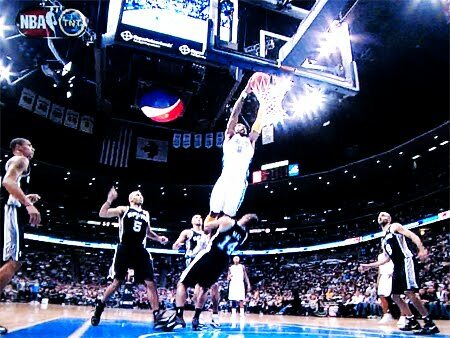 Gary Neal takes a knee to the chest on this nasty two-hand poster smash by J.R. Smith, via NBA. Pretty sure this will be a Top 10 dunk for the season. After looking around (RJ, Ime, Tony, GHill), Neal had to be like, "Oh, I'm the center now?"